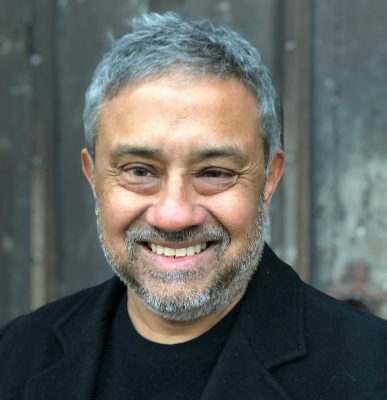 Tech founder Ajay Chowdhury has won the inaugural Harvill Secker and Bloody Scotland competition with Arvon to find a new crime writer from a BAME (black, Asian, minority ethnic) background with his detective-turned-waiter murder mystery. Harvill Secker editor Sara Adams acquired world rights to Chowdhury’s currently untitled debut novel, which will be published in 2020. Disgraced detective Kamil moves from Calcutta to London to start afresh as a waiter in a Brick Lane Indian restaurant but after catering a party for his boss’s friend, he becomes embroiled in an investigation with his boss’s daughter Anjoli when the host is found dead in his swimming pool. Chowdhury’s background is in tech, and he is the m.d. of BCG Digital Ventures, an investment and incubation firm, for which he launched the London centre. The competition run by the Penguin Random House imprint, residential writing charity Arvon and crime festival Bloody Scotland, aimed to discover a debut crime writer from a BAME background. It was judged by crime novelist Abir Mukherjee, creator of the Shetland and Vera series Ann Cleeves and co-founder of BAME in Publishing, former Bookseller web editor and editor-at-large at Little Tiger Sarah Shaffi along with Harvill Secker editorial director Jade Chandler. The prize will see Chowdhury have his debut published under the Harvill Secker imprint in a publishing deal with an advance of £5,000. Other perks include a panel appearance at the Bloody Scotland festival in 2019 and a series of three one-to-one mentoring sessions with Mukherjee. Arvon is offering the winner the chance to attend any one of their creative writing courses or writing retreats in 2019, with all expenses paid. The inaugural competiton was launched in June and it is not yet known if it will run in 2019.